Sharing and Caring | God has your back! 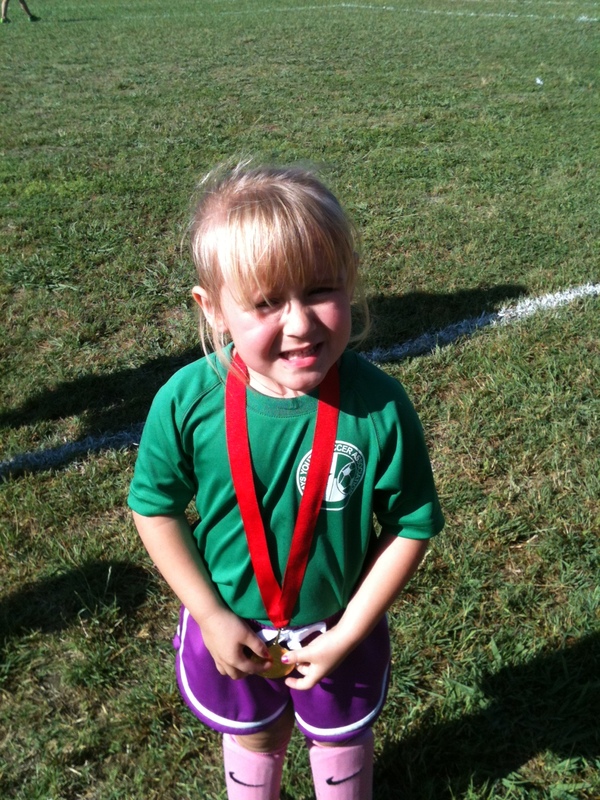 This past weekend it was my granddaughter Avery’s last soccer game. 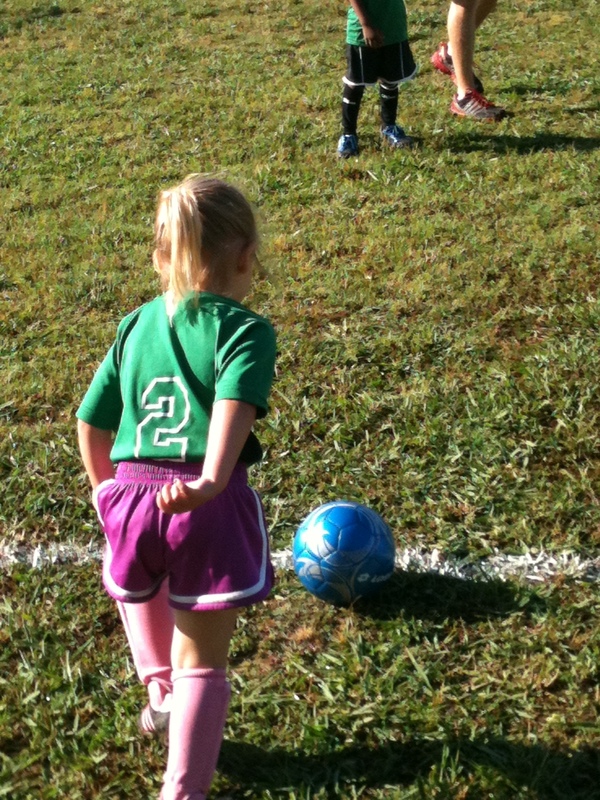 She plays in a league for 4 and 5 year olds and they have learned a lot this season. Just a few months ago they were disorganized and chasing the ball like they were chasing an ice cream truck. There was little defense, passing or team work. Their coach has done an excellent job and the kids have learned a lot and still had fun in the process. One of the biggest lessons that had to be learned this season was not by Avery or one of her team members but by Haley, Avery’s 2 year old sister. At the first couple of games Haley had to be restrained from taking the field with her big sister; after all, they do everything together. Haley just didn’t understand why she couldn’t get out there on the field like all the other kids. By the end of the season she understood the deal. 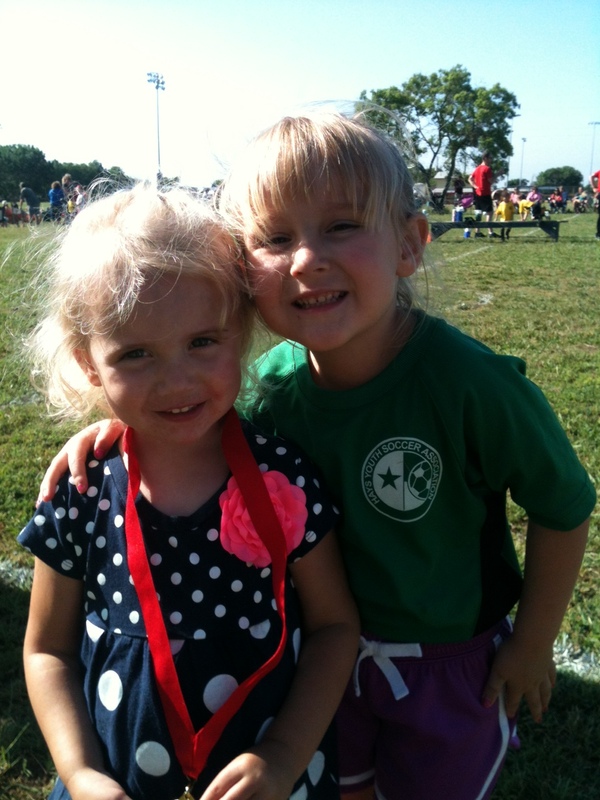 She waited patiently on the sideline hugging onto her own “Chuckie Cheese” soccer ball that cost 10,000 game tickets – no doubt hoping that somebody would cramp up and the coach would have to put her in the game. When the last game was over, Haley took the field and ran through the tunnel of parents with her big sister Avery and gave high fives to everyone. All the kids on the team received a medal…and another round of high fives started. Avery noticed that her sister was sad because she didn’t get one. She said, “Don’t worry Haley. We can share mine!” And she took off her medal and placed it on her sister’s neck. I don’t think Avery ever scored a goal this season but I can tell you, seeing her place that medal on her sister made me more proud than any goal ever could. I know that it not only brought a smile to my face and her sister’s but I know it brought a smile to the Lord’s face too. The Bible says in Hebrews 13:16 “Do not neglect doing good and sharing, for with such sacrifices God is pleased.” I love the love those girls have for one another. I love the tender, compassionate and caring hearts that the Lord has given them. I pray that the Lord will always protect them and guard their hearts. And I pray that I may demonstrate the same love and compassion for others. This entry was posted in Christianity, faith, God, grandchildren, Hebrews 13:16, kids soccer, sharing and tagged faith, God, grandchildren, Hebrews 13:6, inspirational, joy, religion, sharing. Bookmark the permalink.